Contact Wilson Industrial Linings Pty Ltd.
Wilson Industrial Linings offers a safe alternative to dangerous slippery concrete wash bays. 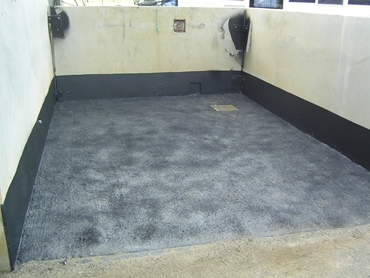 Wash bays can be sprayed directly with the Spray-on polyurethane, which is ideal for horses and cattle, offering a non-slip, durable surface which is mould and mildew resistant, does not crack, tear or go brittle. The spray on polyurethane coating mechanically bonds to the substrate for long lasting use, and is ready for use within hours after application. Wilson Industrial Linings can offer a wide range of solutions for polyurethane wash bay linings, offering these linings in a variety of different textured finishes to suit individual needs. Wilson Industrial Linings is a fully mobile service allowing fast and prompt customer service.